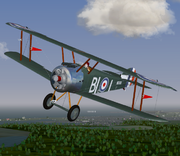 This list is not updated to include all the official GPL licensed aircraft for FlightGear, but gives a visual sampling of the different types of aircraft and genres of aircraft officially available. See Table of models for a more comprehensive list. 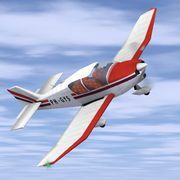 Most models shown here are available from the official FlightGear project and can be downloaded at FlightGear.org, with installation typically requiring an unzipping program and manual installation in the FlightGear aircraft directory. 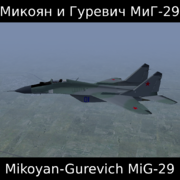 Alternatively these aircraft can be obtained directly from the official FlightGear aircraft repository - FGAddon (when using the nightly builds or a version controlled copy of FlightGear, or managing an aircraft collection using version control tools). 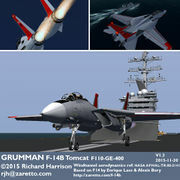 Some models shown here are available from non-official hangars. FlightGear aircraft features, quality, and compatibility vary significantly. Their development is dependent on the volunteers who worked on them, with exception of some University and Government funded projects. 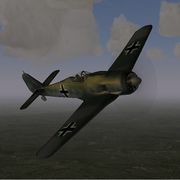 Aircraft are listed by completeness status in Category:Aircraft by status. 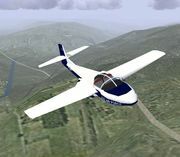 The Cessna 172 is the default aircraft in FGFS 2.0. These aircraft typically have 1-2 piston engines, props, and avionics geared towards those with civilian pilot licenses. These typically have 2-4 turbofan engines and some of the more complicated takeoff and landing procedures (such as multiple flaps). In addition, avionics in real life is geared towards those with professional pilots licenses and special certifications. 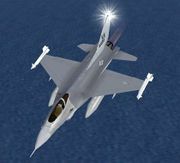 However, the simplifications of FG make it much easier to fly in the simulation. Helicopters have fundamentally different controls than fixed wing aircraft (see Flying the Helicopter). Modern helicopter typically feature 1-2 turbine engines, which power a main rotor with 2-6 blades. These typically have the simplest controls, with minimal avionics. Flying gliders or sailplanes using thermals can provide more complicated experience. Ultralights on the other hand are among the simplest aircraft in FG. 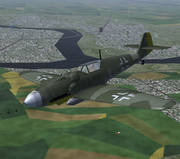 FlightGear includes a wide variety of vintage military aircraft. Complexity and realism is typically tied to the level of development work with a specific aircraft. 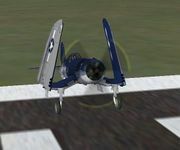 FlightGear supports landing on and taking off from carriers. 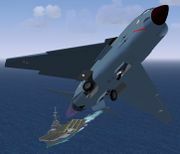 FlightGear has a wide variety of modern and retired military jets available, highlighted by features such as air-to-air refueling from the venerable KC-135 and the ability to simulate A-10 ordnance release. 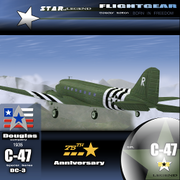 Many obscure to famous older aircraft of varying quality are available. 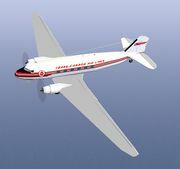 Experimental and special purpose aircraft. These aircraft take advantage of lighter than air gas to become buoyant. In addition to typical aircraft control methods such as elevator, rudder and engine throttle, ballast and control of gas volume and pressure become options. Alternative models provide a diversion of realistic simulation, but can also be useful for exploring scenery. Things that show how small our planet Earth really is. This page was last modified on 10 December 2017, at 14:59.